Chase is on the case! Join this adventurous pup on his Ultimate Rescue Police Cruiser! 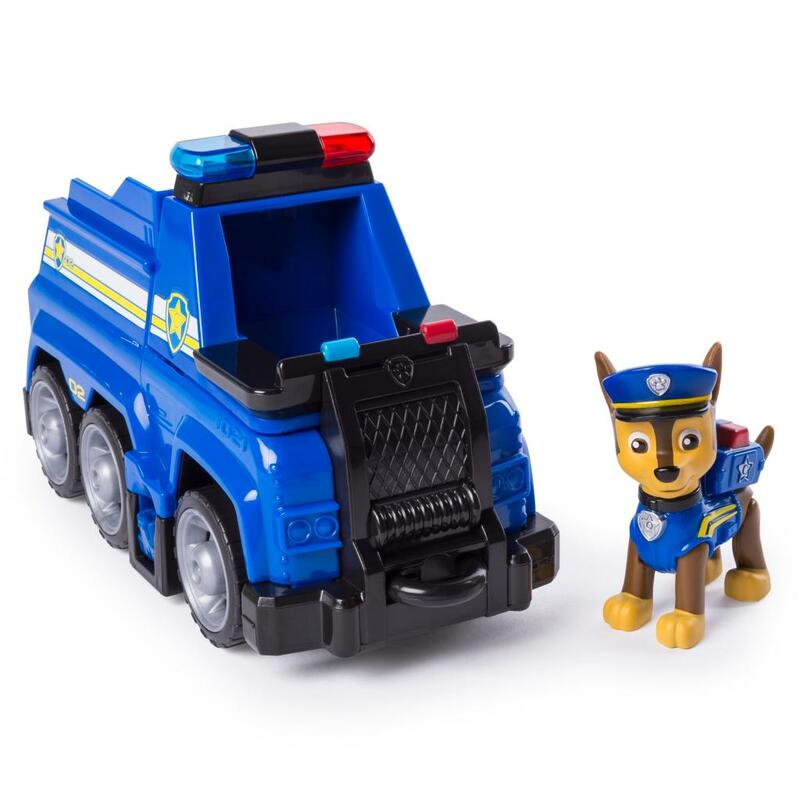 With room for 6 pups on board (1 figure included), this police cruiser comes equipped with a launcher, rescue hook and even a mini police motorcycle! The adventure begins with Chase behind the driver's seat. 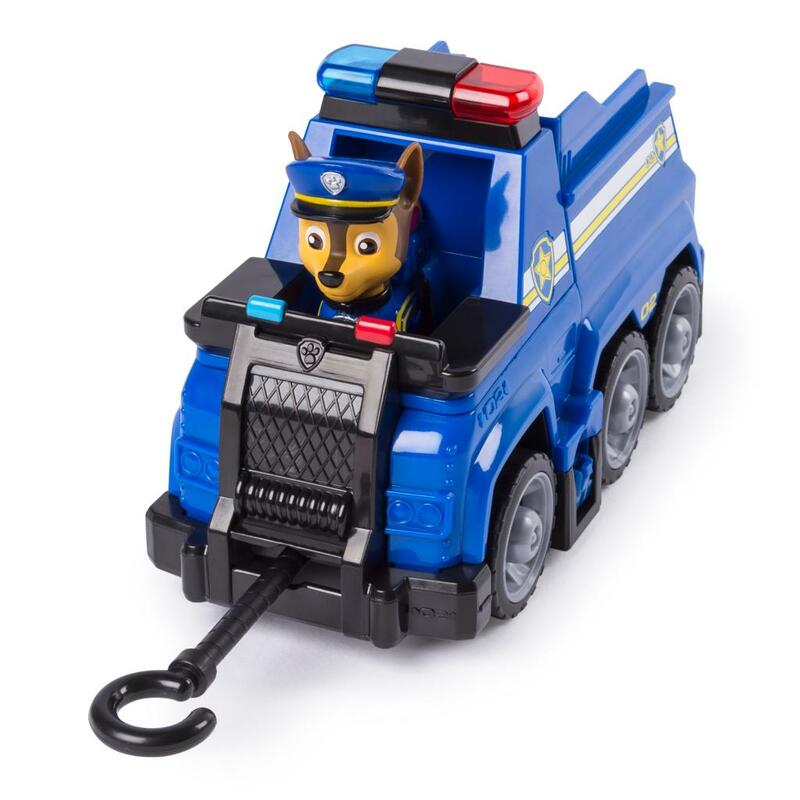 As you race to the rescue, press the PAW Patrol badge to activate the flashing police lights and hear exciting sound effects! When you and Chase spot trouble, attach the tennis ball launcher to the cruiser and load in the projectiles (included). Push down on the red button and your tennis ball projectile will fly across Adventure Bay, knocking obstacles out of your path. 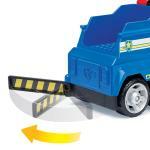 If baby animals (not included) are in trouble, pull them to safety using the rescue hook at the front of the vehicle. 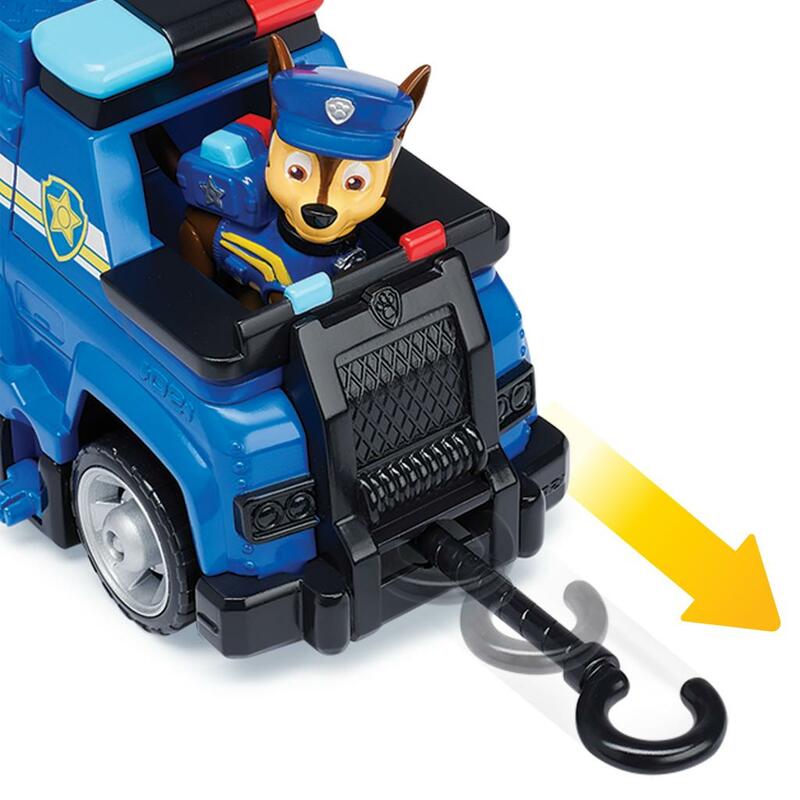 You can even use the rescue hook with the mini police motorcycle! 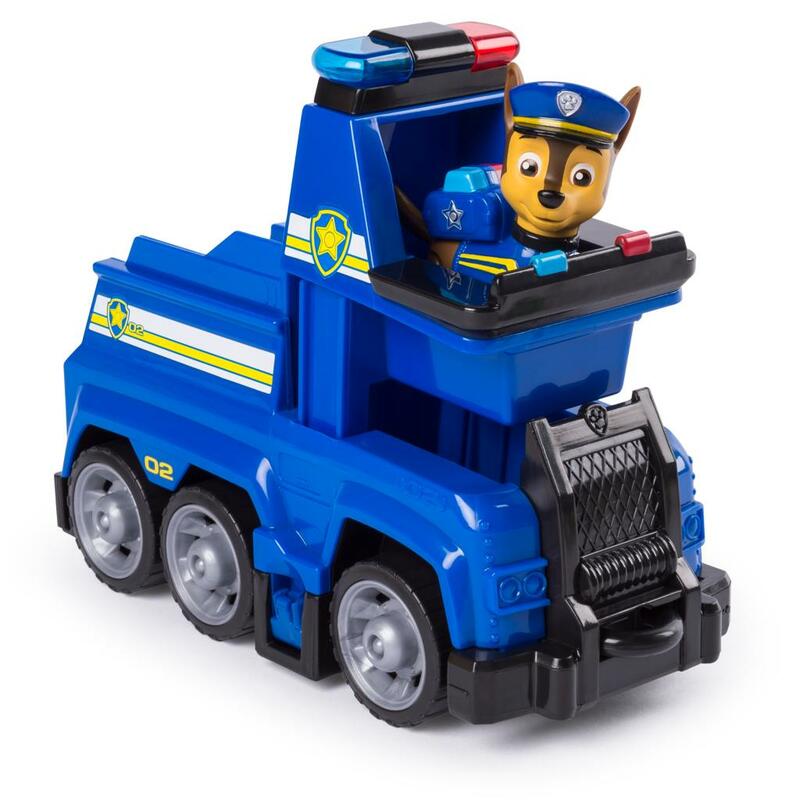 To save the day the speedy way, put Chase on his mini police motorcycle and zoom across Adventure Bay! Ready for an Ultimate Rescue? Then take off with Chase and his Ultimate Police Cruiser! 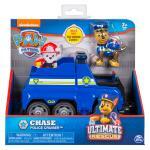 RACE TO THE ULTIMATE RESCUE: Save the day with Chase's Ultimate Rescue Police Cruiser! Equipped with a launcher, extendable rescue hook and mini police motorcycle, this police cruiser is ready for anything! 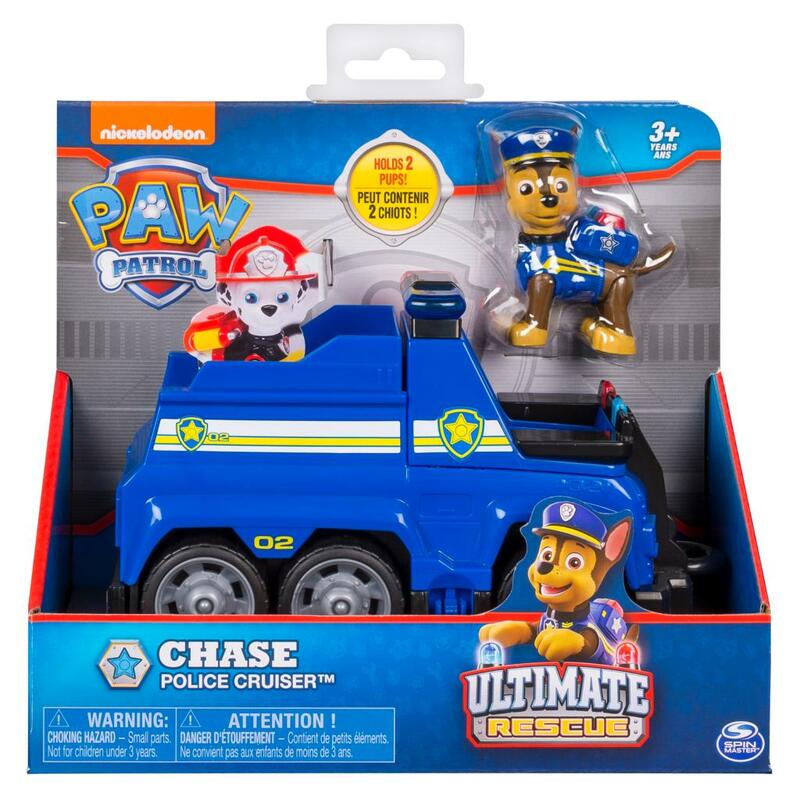 Load in all 6 pups (1 figure included) and go on an adventure with the PAW Patrol! 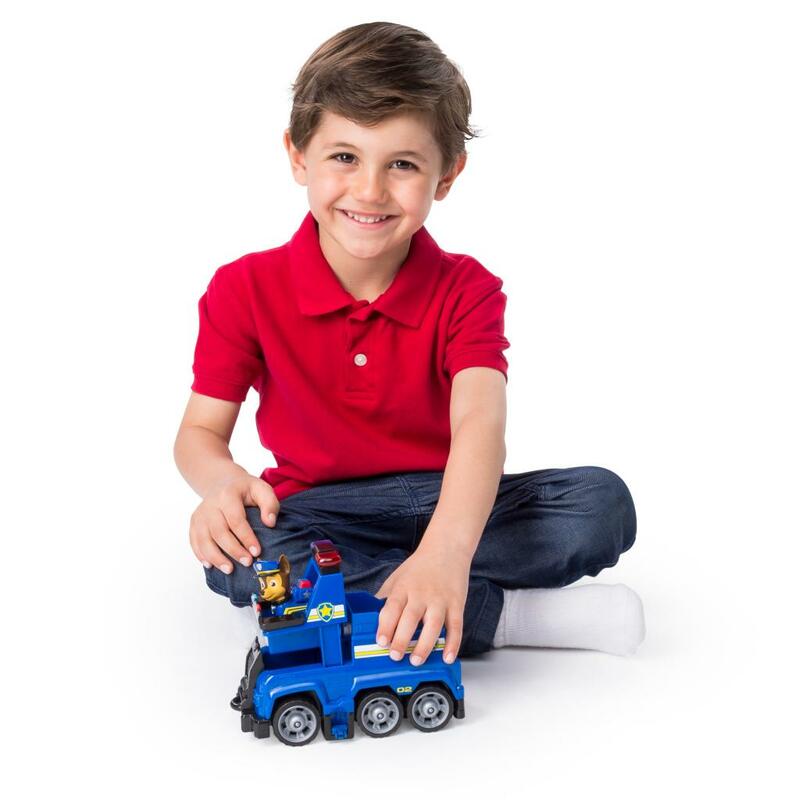 Chase's Ultimate Rescue Police Cruiser is a great gift for kids aged 3+. 2 x AAA batteries required (included). Collect all of the pups to combine and play!